Shipbuilding aluminum alloy 5086 5083 marine grade are applied in the ship bottom planks, deck plates, the thickness is 10-200mm and the width up to 2650mm. The 5083 and 5086 aluminum plate are the main alloy for marine grade aluminum plates and the main aluminum material for shipbuilding. Because ships are sailing in seawater or inland rivers all year round, anti-corrosion and other anti-rust requirements are high. 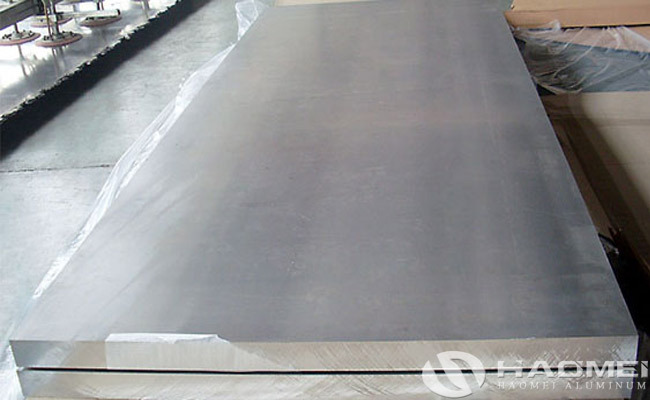 5083, 5086 rust-proof aluminum plate is a common alloy for ship plates. The temper of marine grade aluminum alloy 5083 and 5086 are H116 and H321, although the 5083 5086 H116 and H321 aluminum plates are only slightly different in temperature during production, however the corrosion resistance is significantly better than other states. Therefore, most shipbuilding companies are currently purchasing products of 5083 5086 aluminum plate H116 and H321. After the marine grade 5083 aluminum plate and 5086 aluminum plates replaced the traditional steel ship plates, the average ship saved about 8-100 tons of weight. The range of aluminum instead of steels is not limited to hulls and components, but also includes ship decks and other equipment. Other marine shipbuilding aluminum alloys are generally 6061, 5052 and 5754. Overall, the 5083 and 5086 aluminum plates are still the mainstream of the current shipbuilding aluminum. Aluminum instead of steel is also the development trend of the international shipbuilding industry.